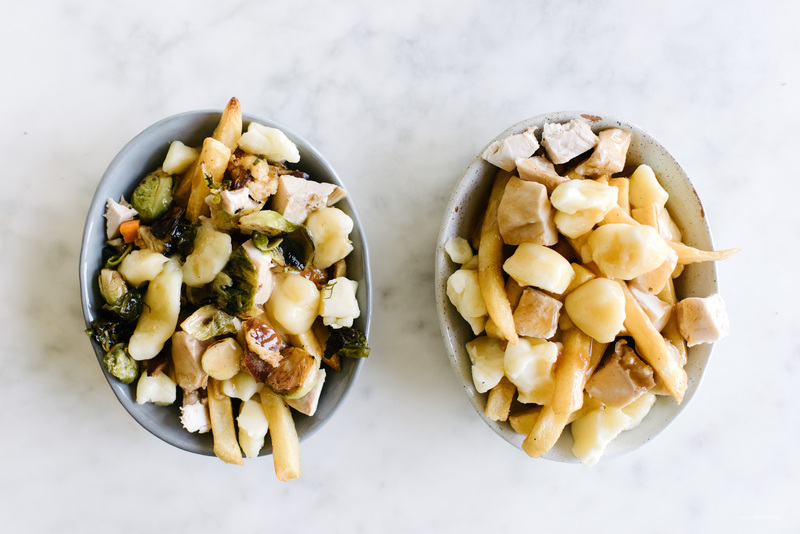 This is a tale of two poutines. 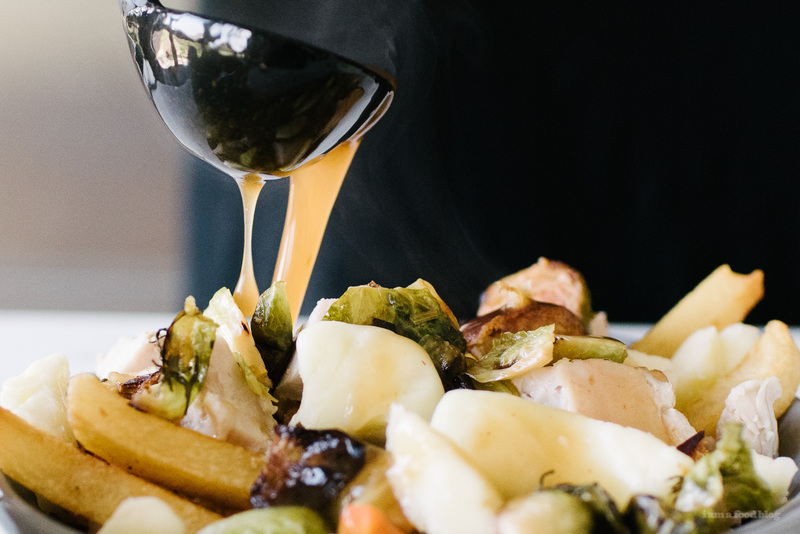 A classic (read: plain) Thanksgiving poutine, and an fun (read: ULTIMATE) poutine. Canadian friends: got leftovers? 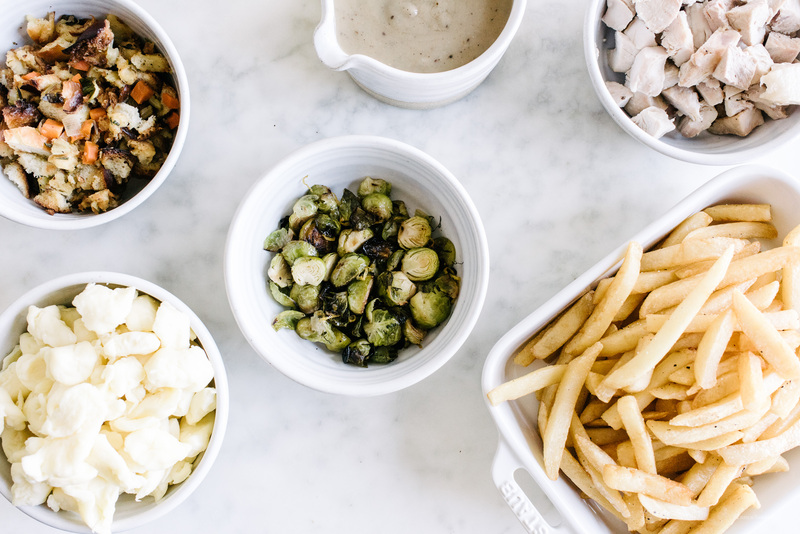 Poutine it up! We had a very Voon Thanksgiving the other day. No turkey, but lots of meats, seafood, and veggies cooked at the table, hot pot style. Conversation topics included turf wars, saltiness (in people), and my dad excusing himself running out to go to the gym. My family is truly hilarious, in the best way possible. The night started out innocently enough, with us chatting about the day to day, but soon devolved in very heated conversations about, wait for it, Pokemon Go. My mom saying: “We’re in a turf war.” Never thought I’d hear those words come out of her mouth?! Red team vs blue team turf war smack talk. Funny this is that my mom is red team and my dad is blue. For the longest time my dad wanted to switch over to the red team so he would be on the same team as my mom, but then he randomly met this dude named Jason Wong. Jason Wong is blue team all the way and goes around recruiting peeps to be part of his crew; they obsessively take down red gyms, which means my mom and dad are in a turf war?! My brother calling my 8 year old nephew sulky and Mike mishearing it as “salty.” He was like, “woah, your brother called Issac salty? !” I had to tell him, no, my brother is not up and up on current day slang. My dad running out on dinner to drive to a Pokemon gym about 5 minutes away because he got a text from Jason Wong saying there was an empty space in the gym for him. Oh yeah, the food was good too! Happy Thanksgiving from the Voons! 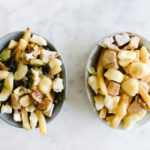 PS – Mike and I are eating our leftover turkey a la poutine style cause it’s the only way to do it. 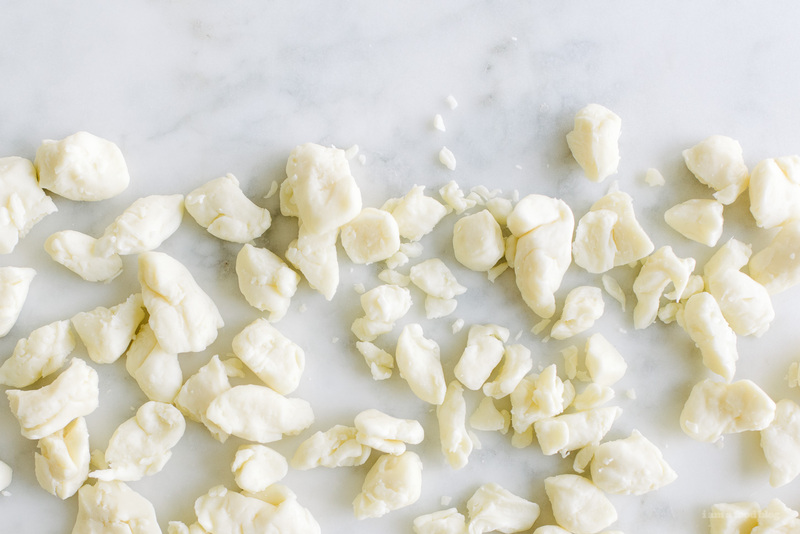 Technically this isn’t really a recipe, but it’s how we like our leftovers and I hope you will too! 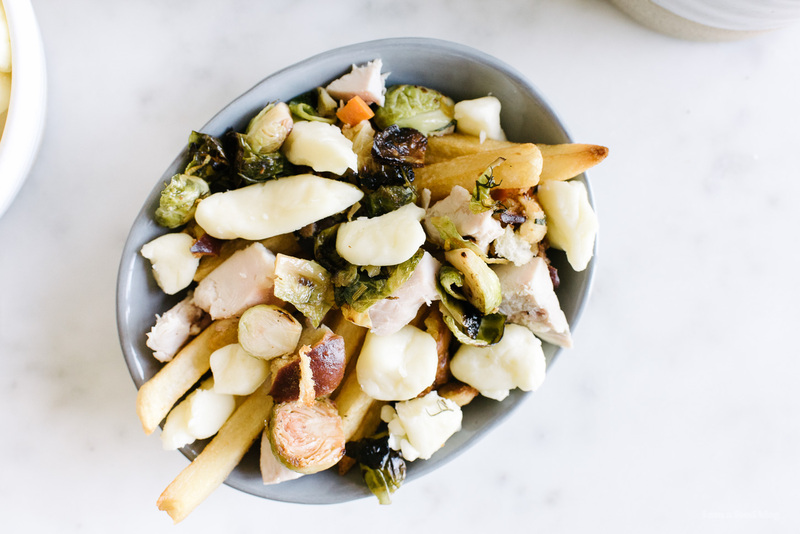 On a plate, make a bed of fries and top with turkey, stuffing, sprouts, and cheese curds. Ladle gravy on liberally. Enjoy immediately! Duuuuuuuude Steph you’re a genius.